"Summerlin" redirects here. For the surname, see Summerlin (surname). Summerlin is an affluent master-planned community in the Las Vegas Valley of Southern Nevada. It lies at the edge of the Spring Mountains and Red Rock Canyon to the west; it is partly within the official city limits of Las Vegas and partly within unincorporated Clark County. This rapidly growing community occupies over 22,500 acres and according to its developers, "has grown to encompass more than 230 parks, more than two dozen public and private schools, 14 houses of worship, nine golf courses, three resort hotels, world-class recreational facilities, retail and entertainment centers, well-established office parks, a state-of-the-art medical center, and more." The community is divided into three associations (North, South, and West), which oversee two dozen commercial and residential villages. At the time of the 2010 census, Summerlin's population was nearly 100,000, having risen from 59,000 residents in the year 2000. With an average annual household income of $139,061, Summerlin is also one of the most affluent communities in Nevada. The community has received national acclaim for its amenities and quality of life. Notably, it was named the "#1 best place to live and play" by National Geographic Adventure in 2007 and one of the "Best Places to Live in America" by Money Magazine in 2014. Summerlin was named after Jean Amelia Summerlin, the grandmother of billionaire land-developer Howard Hughes. The Howard Hughes Corporation maintains ownership of the master-planned community, along with Downtown Summerlin (the community's premier shopping, dining, and entertainment district) and the Las Vegas Ballpark (home of the Las Vegas Aviators minor league baseball team). In 1952, the famous film director, aviator, and casino mogul Howard Hughes purchased 25,000 acres (10,000 ha) of land in Southern Nevada, making him the Las Vegas Valley's largest landowner. Despite his initial intentions, he ultimately chose not to relocate his company to Nevada, so the purchased land remained undeveloped and empty for decades. After Hughes died of kidney failure in 1976, the Summa Corporation was organized by his heirs to oversee his vast business empire and land holdings. In 1988, the corporation announced that they would be developing the empty acres of land into a master-planned commercial and residential community. They named the project "Summerlin", after Hughes' paternal grandmother, Jean Amelia Summerlin. In preparation for this large-scale development, Summa Corporation made a deal with the Bureau of Land Management, in which they traded 5000 acres of environmentally sensitive land for 3000 acres of land better suited for development. After this environmental concern was addressed, development began. By the end of 1990, the construction of Summerlin's first residential village, park, and school had been completed. In 1994, Summa Corporation rebranded itself as the Howard Hughes Corporation and continued to develop new Summerlin villages. New home construction continued to boom through the turn of the century. From 1997 to 2007, Summerlin was consistently ranked as the #1 community in the nation for new home sales. The great recession caused a temporary slow-down in construction, but signs of revival became especially apparent in 2014, when Downtown Summerlin opened, bringing 106 acres of shopping, dining, and entertainment to Summerlin residents. Residential development also saw a great revival following the recession, and by 2016, Summerlin was once again one of the top communities in America for new home sales. Summerlin is still a growing community. As of 2018, over two dozen commercial and residential villages have been constructed, with over 6,000 acres still available for future development. The headquarters for the Howard Hughes Corporation, which owns and maintains the Summerlin master-planned community. A small section of suburban development in Summerlin. Summerlin lies partially within an incorporated municipality and partially within an unincorporated area. The area north of Charleston Boulevard is within the city of Las Vegas, while the area south of Charleston Boulevard is located in unincorporated Clark County. As a planned community, Summerlin is managed by three master associations (Summerlin North, Summerlin South, and Summerlin West). Summerlin is further developed into commercial and residential villages. Many individual subdivisions also have their own homeowners associations. Summerlin has two age-restricted communities for senior citizens (Sun City Summerlin and Siena). The following communities sit adjacent to Summerlin (and in most cases considered part of the "Summerlin area"), but were just not developed by the Howard Hughes Corporation. Summerlin has a hot desert climate typical of the Mojave Desert in which it lies (Köppen climate classification: BWh). Due to its relatively higher elevation, Summerlin is often a few degrees cooler than Downtown Las Vegas and the Las Vegas Strip and may receive slightly more precipitation. Clear skies and sunshine are abundant year-around, with 310 days of sunshine per year and low humidity in every season. Summers tend to be very hot and very dry, with daily highs often exceeding 100 degrees Fahrenheit; temperatures as high as 118 degrees have been observed. The spring and fall seasons are generally sunny, warm, and dry, with daily highs in the 70s and 80s. Winters tend to be cool and windy, with daily highs in the 50s; temperatures seldom drop below freezing, and snowfall is rare, but some rain is common (especially in January and February). Bicycle lanes are provided on most major roads in Summerlin, as well as in the adjacent Red Rock Canyon National Conservation Area. Large community parks, which are available for free public use, are located throughout Summerlin. As of 2018[update], there are 25 community parks that feature a variety of recreational amenities, which may include: community centers, barbecue areas, walking trails, playgrounds, swimming pools, interactive water features, soccer fields, baseball fields, football fields, basketball courts, tennis courts, volleyball courts, bocce ball and shuffleboard courts, and motorized toy areas. In addition, the parks with community centers typically offer special events, classes, and children's camps. Most Summerlin neighborhoods also have small pocket parks that contribute to the extensive Summerlin park system. In addition, the family-friendly Wet'n'Wild Las Vegas water park opened in 2013. The park boasts more than 25 water slides and attractions and is accessible to both residents and visitors. As of 2018, the Summerlin Trail System is more than 150 miles long and connects local neighborhoods to various amenities throughout the community. The system includes five types of planned trails: street-side, village, bike, regional, and natural. Upon completion, the trail system will be more than 200 miles long and will connect to more than 2,000 miles of regional trails, making it one of the most comprehensive and efficient trail systems in the southwestern United States. In 2008, Summerlin and the Howard Hughes Corporation received the American Trails Developer Award, which is given to developers in recognition of "quality, well designed multi-use trails systems that are integrated into private developments." The adjacent Red Rock Canyon National Conservation Area offers 26 hiking trails (ranging in difficulty from easy to strenuous). The canyon is also suitable for bouldering and rock climbing and has an overnight camp site. A palm tree-lined street in Downtown Summerlin. Downtown Summerlin is the community's premier shopping, dining, and entertainment district. It hosts over 125 shops, bars, and restaurants. Downtown Summerlin is also home to the Las Vegas Ballpark (home of the Las Vegas Aviators minor league baseball team), and the City National Arena (practice facility for the Vegas Golden Knights NHL franchise and home arena of the UNLV Rebels hockey program). Local events are held in Downtown Summerlin throughout the year. Popular events include farmers markets, outdoor fitness classes, wine walks, holiday festivals, and visits from celebrity guest speakers. Summerlin is also home to the Element Las Vegas (a Westin Hotel), which offers guest accommodations, but does not include casino games, entertainment, or spa services. The Summerlin Hospital Medical Center, a private hospital operated by the Valley Health System, provides 485 beds to the local community. It is an accredited Chest Pain Center and Primary Stroke Center. Other notable features include: the Children's Medical Center, the Breast Care Center, the Cancer Center, the Rehab Center, and the Robotic Surgery Center. The Summerlin Hospital is also recognized by the Healthcare Equality Index as a "Leader in LGBT Healthcare Equality." Its 40-acre campus is located in The Crossings village of Summerlin North. The Southern Hills Hospital Medical Center is located just outside the boundaries of Summerlin South, in the nearby Spring Valley. This private hospital, operated by Sunrise Healthcare System, provides 186 beds to the Summerlin community. It is an accredited Chest Pain Center and Primary Stroke Center, and was named the Best Hospital in Las Vegas in 2015, 2016, and 2017. Public schools in Summerlin belong to the Clark County School District, which serves almost all of southern Nevada. In addition to the above-listed public schools, some Summerlin residents may be zoned for schools located just outside of the Summerlin boundaries (many families in Summerlin South, for example, are zoned for Durango High School in nearby Spring Valley). However, Summerlin is also located within 10 miles of the College of Southern Nevada's main campus (CSN - Charleston), within 20 miles of the University of Nevada, Las Vegas (UNLV), and within 30 miles of Nevada State College (NSC). The valley's NHL franchise, the Vegas Golden Knights, practices at the City National Arena in Summerlin. The arena also offers skating lessons, hosts youth and adult amateur hockey leagues, and trains competitive figure skaters. The UNLV Hockey team plays its home games at City National Arena in Downtown Summerlin. Starting in 2019, the Las Vegas 51s (a minor league baseball franchise) will play at the Las Vegas Ballpark in Downtown Summerlin. The Summerlin Red Rocks FC is a popular amateur soccer league in the area. ^ "Beautiful Community Living in Las Vegas Valley | Summerlin". summerlin.com. Retrieved 2018-05-10. ^ "Historical Land Developer | Howard Hughes | Summerlin". summerlin.com. Retrieved 2018-05-10. ^ a b c d e "History of a Planned Community | Summerlin Las Vegas, NV". summerlin.com. Retrieved 2018-05-10. ^ "TPC at Summerlin Monthly Weather Forecast - weather.com". The Weather Channel. Retrieved 2018-05-10. ^ "Explore Summerlin's Amenities & Parks | Las Vegas, NV". summerlin.com. Retrieved 2018-05-10. ^ "Parks and Amenities". Summerlink. Retrieved June 8, 2011. ^ "2008 Developer Award Winners". American Trails. Retrieved 1 November 2011. ^ "Visitor Information". Red Rock Canyon Las Vegas. Retrieved 2018-05-10. ^ "Downtown Summerlin | Las Vegas Shopping, Dining, & Entertainment". Downtown Summerlin. Retrieved 2018-05-10. ^ "About the Hospital". Summerlin Hospital. 2016-04-15. Retrieved 2018-05-10. ^ "About". Southern Hills Hospital & Medical Center. Retrieved 2018-05-10. ^ "CCSD Attendance Boundary Maps". ^ "City National Arena - Home". 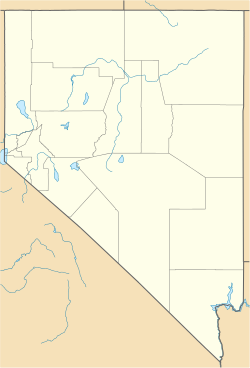 Wikimedia Commons has media related to Summerlin, Nevada.